The aim of feeding dairy cows should be to reach an economic milk production. Roughage alone will not provide all the required nutrients, especially during early lactation. Therefore, Dairy meal should be fed in addition to good roughage. A high return on supplementary feeding can be expected when Dairy meal is fed during early lactation. 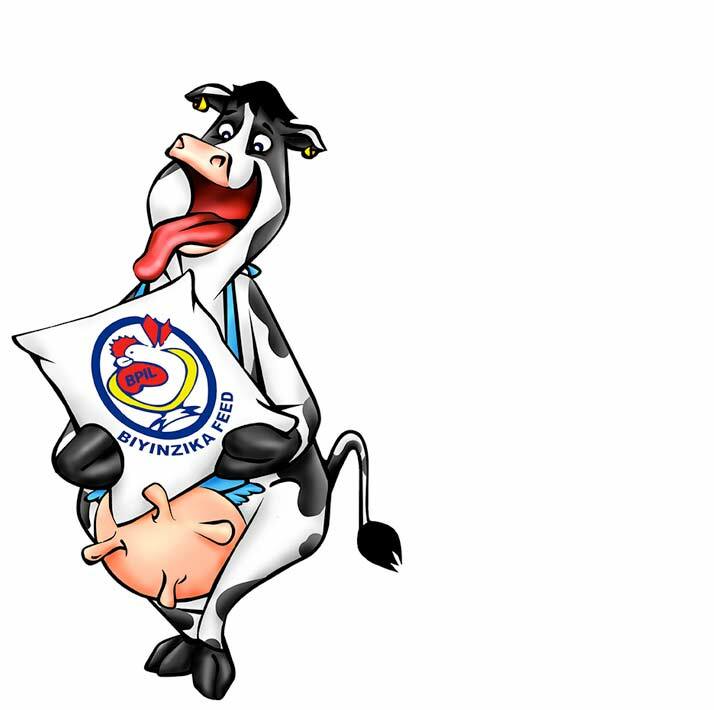 Biyinzika Dairy meal is a balanced protein-rich supplement for your dairy animals. It is formulated with excellent by-pass proteins. 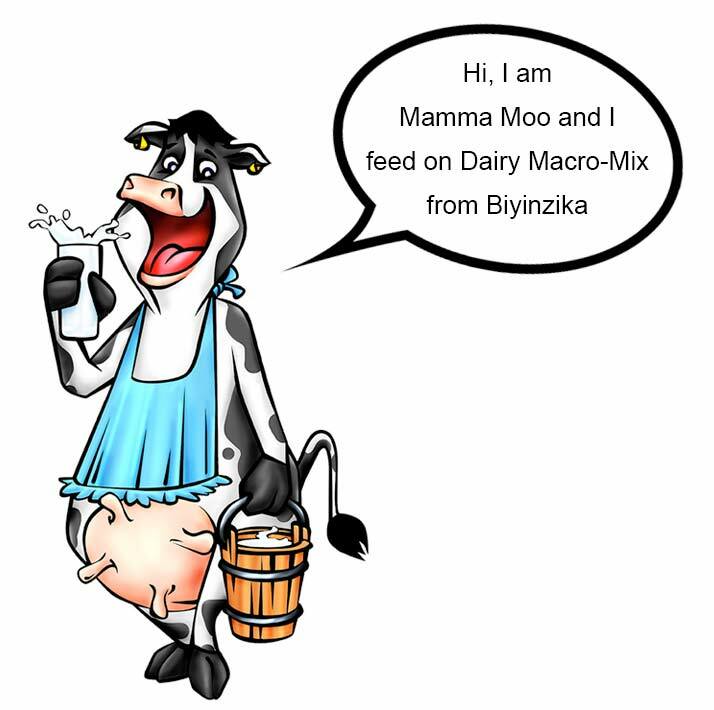 Biyinzika Dairy Macro-mix contains all the minerals, vitamins and micro-nutrients required for mixing a dairy meal. Just add maize, maize bran and soya. It equally contains excellent by-pass proteins for maximum performance of your cow. 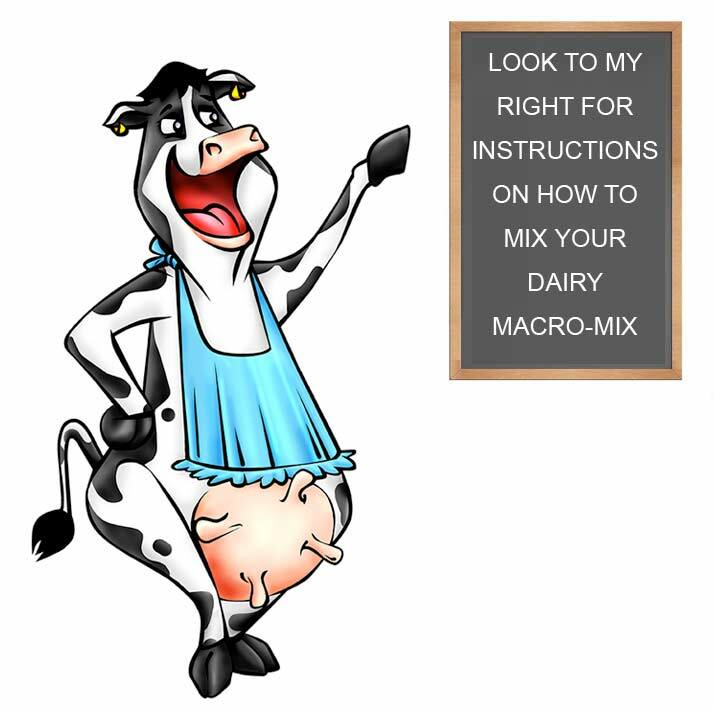 The dairy cow is like a as a machine that converts raw materials (feed and water) into milk. The raw materials are mainly plant materials which are not edible by humans but the cow is able to convert into high quality human food. 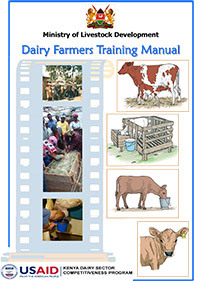 Basic Principles of livestock husbandry; breeding and selection, housing, disease prevention, biosecurity, nutrition.